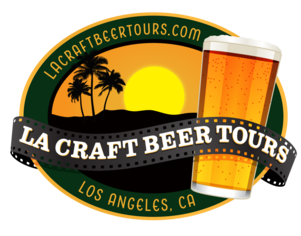 Yes you heard right, A Day in LA tours is now offering beer tours through our sister company LA Craft Beer Tours! ​LA Craft Beer Tours was founded in 2011 by two longtime beer enthusiasts. We were the first company in the Los Angeles area dedicated to offering Private and Public Brewery Tours. Join us this July 15th for an incredible exbeerience! The tour begins at 1pm at the Culver City metro stop located at 8817 Washington Blvd. In about 4 hours we will hit up some of LA's hottest breweries including Angel City, Boomtown, and Highland Park! Make new friends, enjoy free beer samplers, and tour the breweries whilst being transported on a RastaBus! We require a minimum of 10 hours in advance to book this activity online. Alternatively, you can contact our office directly to inquire about short-term bookings. Full refund if canceled outside of 24 hours of tour departure. No refunds otherwise. The tour begins at 1pm at the Culver City metro stop located at 8817 Washington Blvd. Look for a Red, Yellow and Green RastaBus and hop on board! Itinerary: 3 aweseom breweries in the heart of Los Angeles. What to Bring: Your Happy beer face!